You don’t have to go out of town in order to have some fun in the sun. 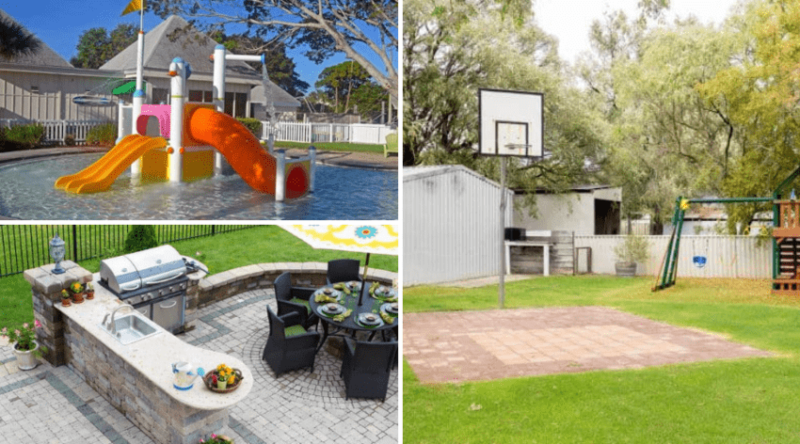 You can easily have the best time in your own backyard, you just need to get some creative ideas! Utilizing the backyard is great because you can save money and also relax in the comfort of your own home. If you are confused on some fun ideas, no need to fret. 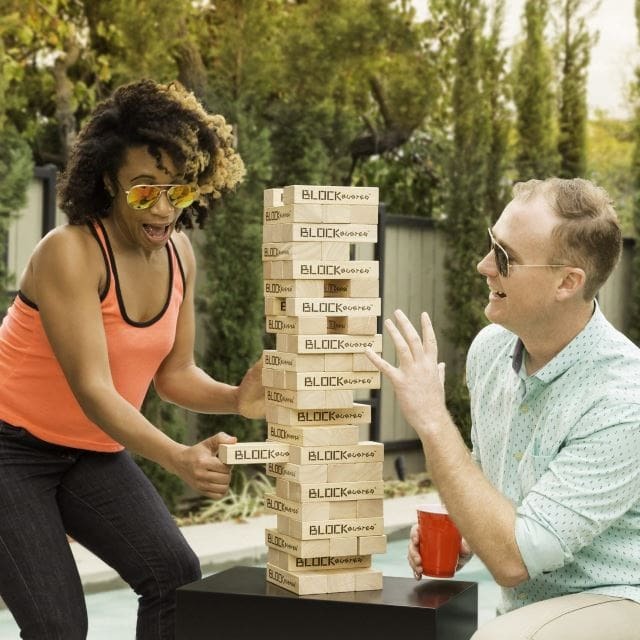 In this article, we’ve compiled a list of some of the best backyard entertainment ideas you can easily execute this summer. Try a few different ones to keep the summer fun, cool and full of surprises! 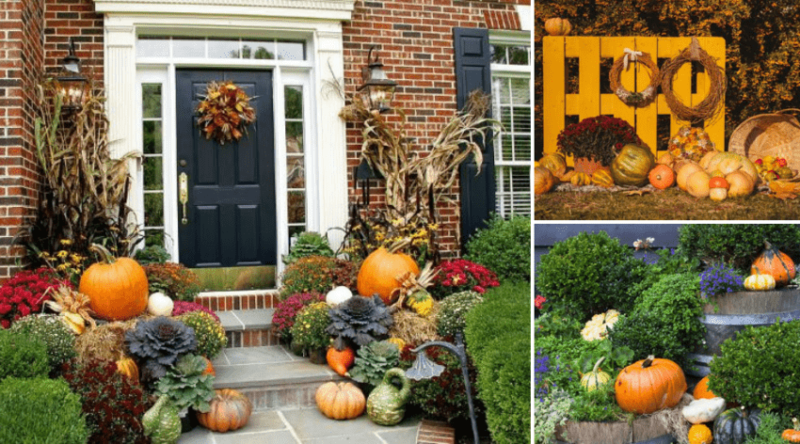 Any family with kids will love some of these great ideas! This is a super fun idea if you have the space for it! You can set up this amazing huge chess set to where you physically have to pick up these massive chess pieces with two hands instead of one. 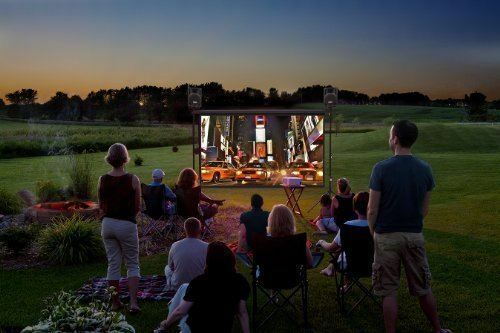 This is a great idea for any type of outdoor party or for occasions when you need some extra special entertainment. Bubbles are one of those classic summer stables. 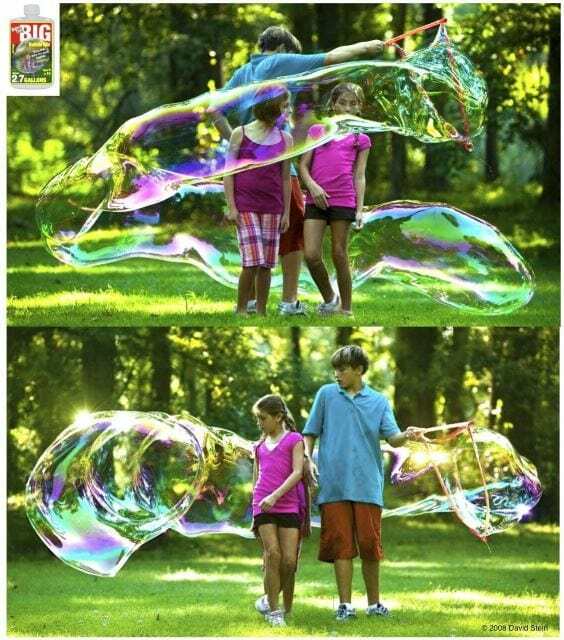 In this amazing game set, you can blow the most amazing, huge bubbles you’ve ever seen! This is a super fun thing to do with kids and keep them entertained for a while. Make sure everyone is wearing play clothes, because things are sure to get sticky! You just can’t go wrong when it co mes to playing with DIY block towers. In this fun game, the more blocks you pull out the shakier things get! The one who pulls the block that makes the tower crumble is the loser. In this game, the blocks are bigger to add even more fun to the game. 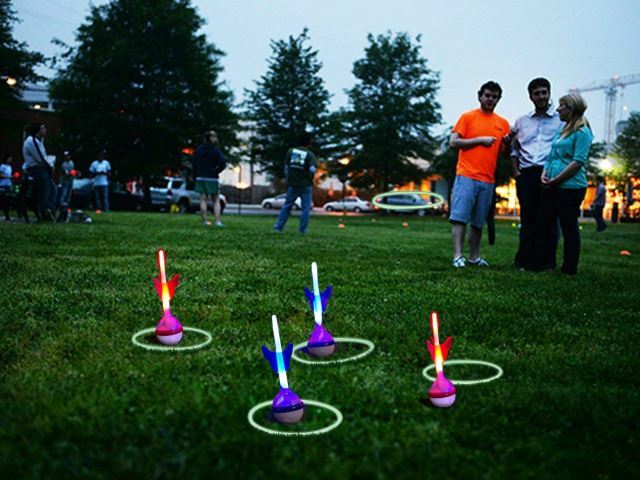 This light up dart game is sure to bring all the kids to the yard. This is a super fun game that you can even play into dusk since the darts actually glow in vibrant colors. This would be a fun game to play at a kid’s birthday party or even a fun game to play during a family barbecue. This is a mega sized version of that classic game we all played as children. Although this game has been around for a while, that doesn’t mean it’s any less fun. This supersized version of the game would be perfect to play during a family get together or even someone’s birthday party. Here’s another classic game reimagined for size! 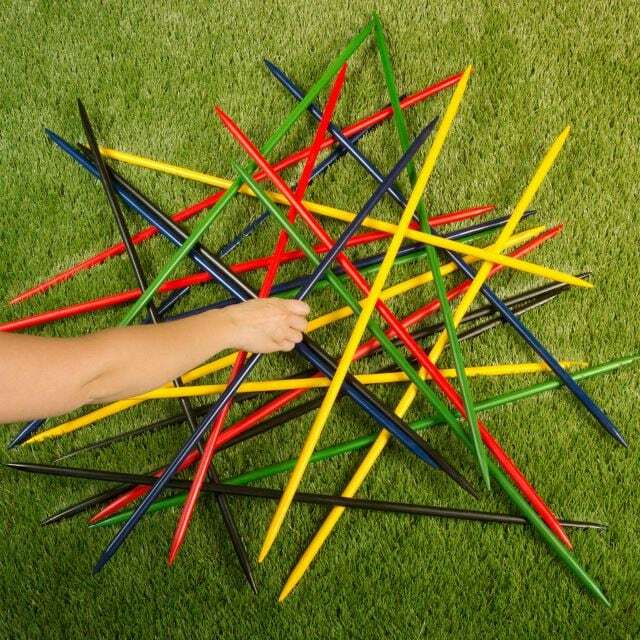 This jumbo game of pick up sticks could be just what the doctor ordered when it comes to a case of summertime boredom. These pick up sticks are vibrantly colored, just like the original game, but you’d probably need to use a little extra strength to pick them up. 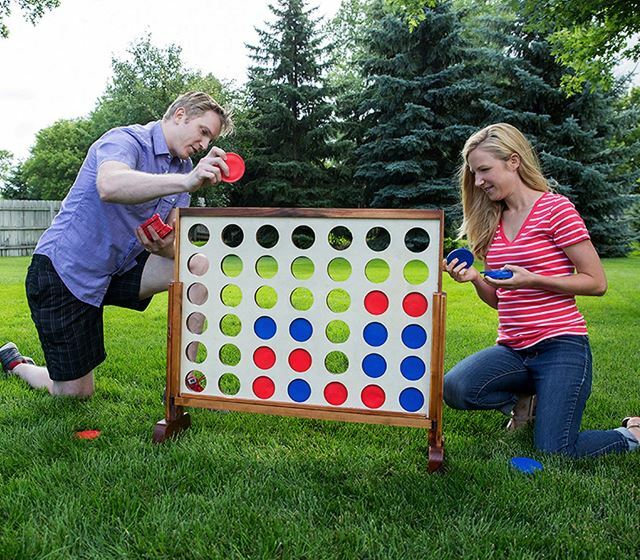 This classic tailgate game comes to the backyard in these twin jumbo sized games. This is the type of game that is fun for the entire family, and anyone at any age and skill set can enjoy this simple game. You just try to get the bean bag into the hole – how much simpler could you get? 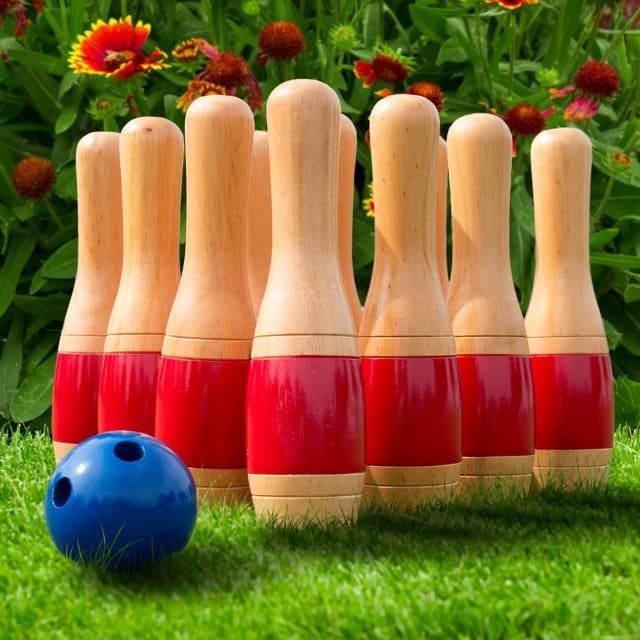 This large wooden bowling set is the perfect addition to the summer. This is a fun game that everyone will want to play. The wooden pins to this game are actually quite beautiful, so you can tell a lot of work went into the basic craftsmanship of this game. This just may be your go-to game this summer. 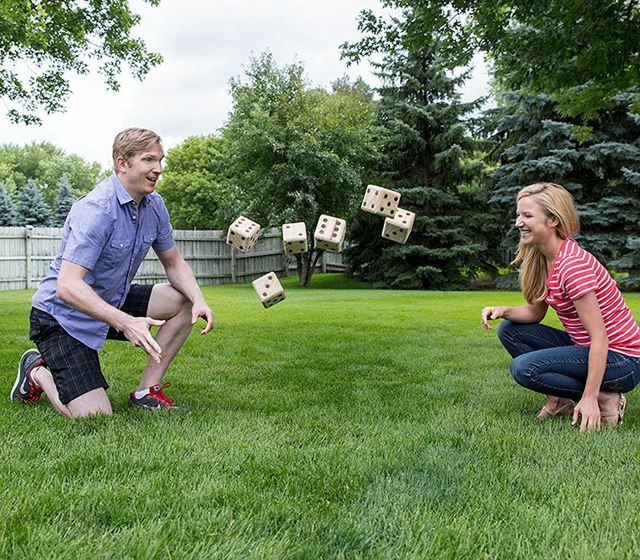 These giant wooden dice are a super great addition to the backyard fun category. You can do so much with wooden dice since there are thousands of games you can play with them. 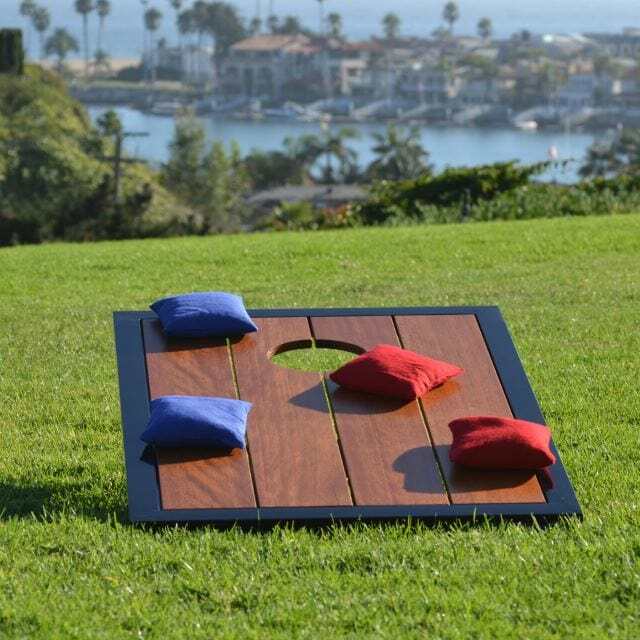 This would make a fun addition to the trove of backyard game possibilities that everyone is sure to love. Movie night has transformed to an amazing personal outdoor cinema. 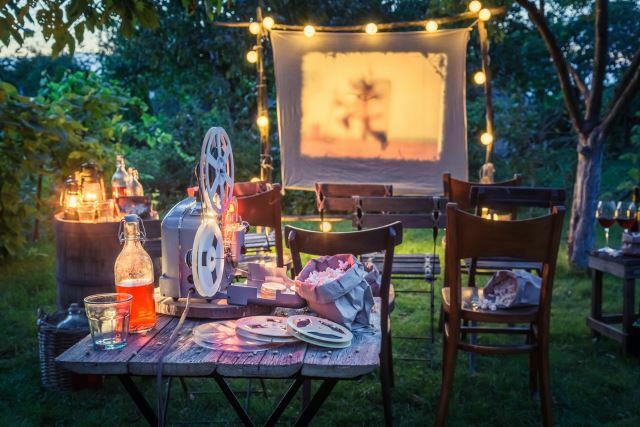 You can easily designate a space for watching movies outside this summer by setting up a sheet or screen, some comfy pillows and blankets, or some reclining outdoor chairs. The family will love it. 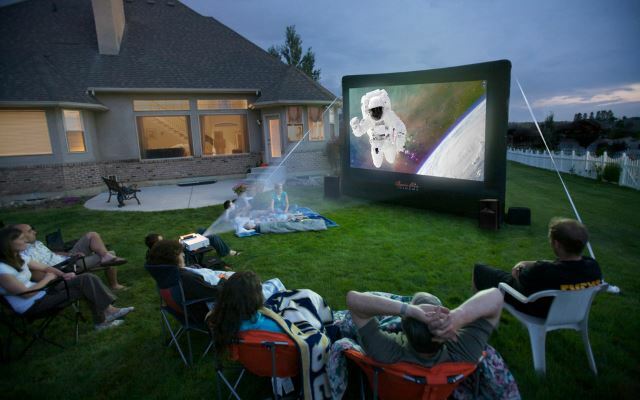 Instead of worrying about finding a movie screen to set up yourself, just buy this amazing inflatable, ready to use movie screen instead. This is a super fun and completely unique idea that the whole family is sure to have fun with. Invite the whole neighborhood over for a block party and snacks. 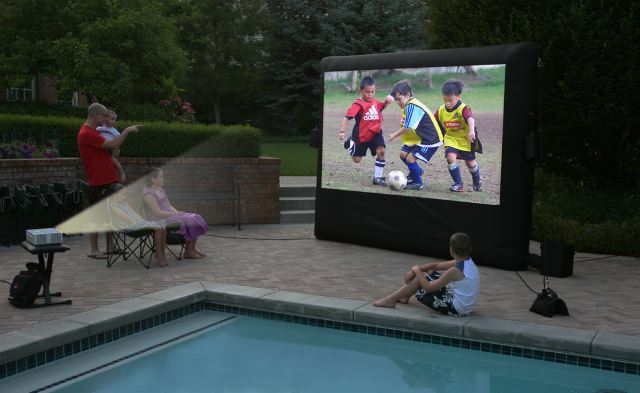 With this portable, inflatable screen, you can watch a movie just about anywhere. What’s great about these screens is that they are typically very light, so you can take it anywhere and it won’t weigh you down. This is a great idea for a camping trip or even an outing in the great outdoors with friends. 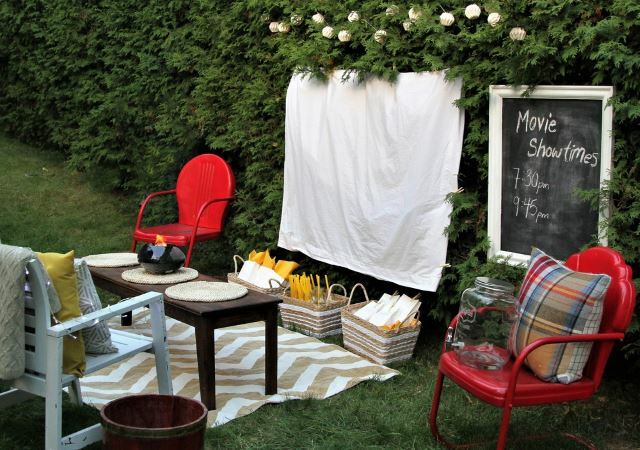 This makeshift movie night screen is a cute way to incorporate summer fun into the mix. You don’t need a fancy screen if you have a plain, white sheet. 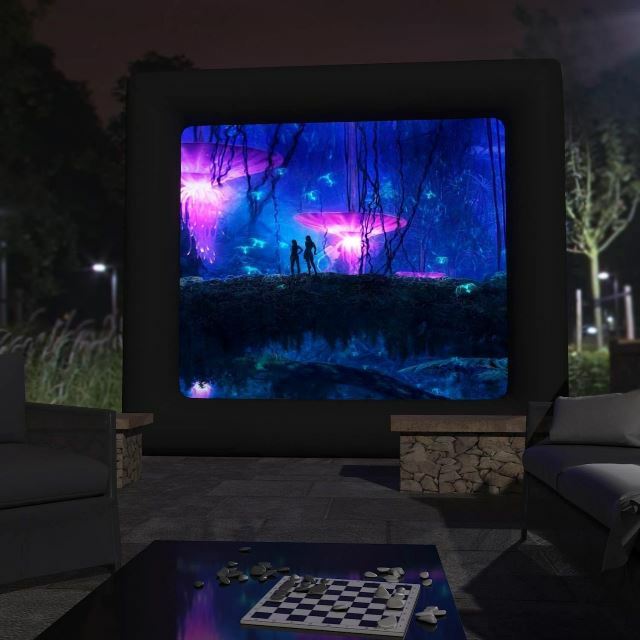 Although portable screens are super cool, you could easily create your own outdoor theatre with something as simple as a white sheet and some imagination. You get the whole package with this screen setup. This portable screen folds down and pops up easily so you can take it virtually anywhere and set it up like an actual outdoor theatre. What’s super great about this screen is that it also comes with extra speakers so you get that surround sound feel. This Cinebox system is the full deal. This is a higher standard outdoor cinema systems that would be perfect for watching sports events on or gathering the family around to enjoy a movie on. This would also be great if you have a special event such as an anniversary or a reunion coming up. 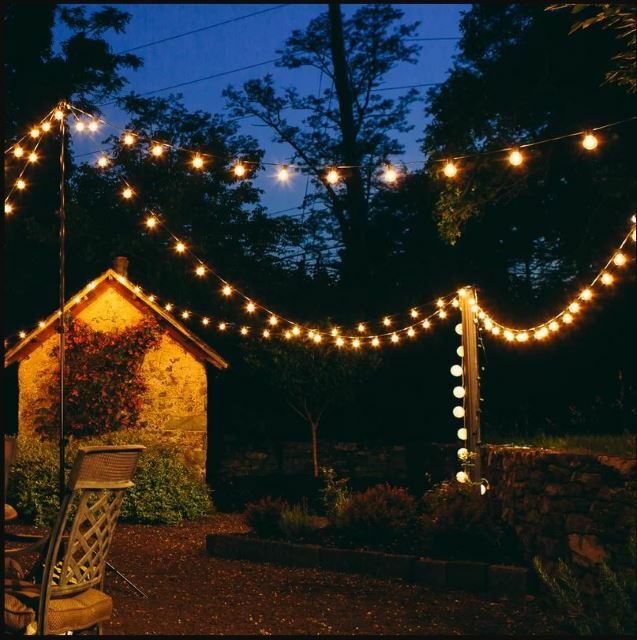 Create your outdoor paradise by stringing these hanging lights around. This idea also has a canopy or a gazebo set up which is perfect for entertaining outdoors. 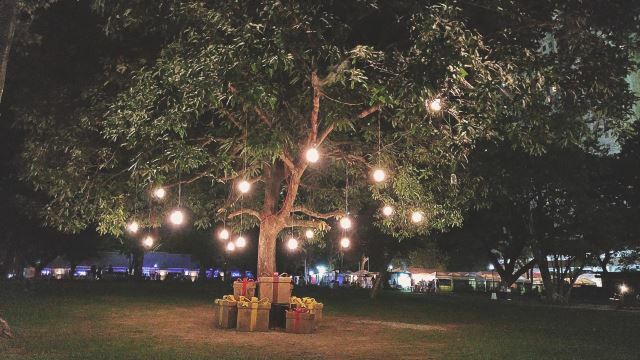 Imagine enjoying a few summer time cocktails under this canopy amid all these soft, twinkling lights? It sounds magical. These large bulbs create an illuminate and magical space that your guests are sure to love. This would be an amazing outdoor concept for a larger outdoor sitting area or even a private courtyard setup. In the case of entertaining, setup would be a breeze since these lights do most of the décor work for you. 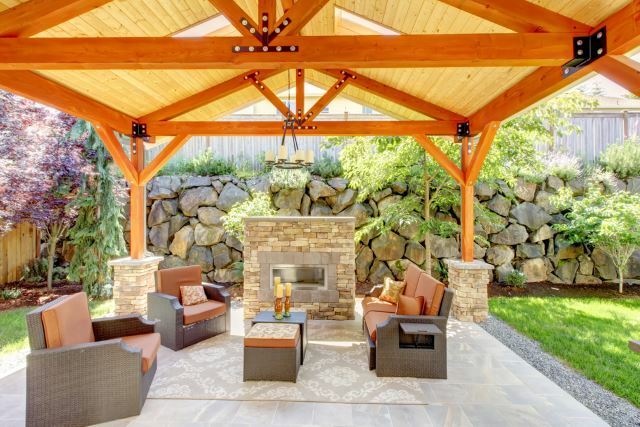 These large hanging bulbs create a gorgeous ambiance for a larger backyard space. This would be the perfect setting for a more intimate night or a special occasion such as an outdoor wedding or even an anniversary party. These bulbs make everything look great and whimsical. 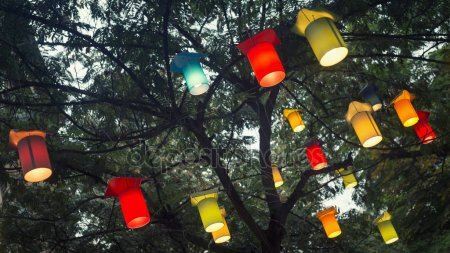 These garden lanterns are a super cute idea for decorating a garden party or even a birthday party. Since these lights are multicolored, you can easily incorporate these delicate lights into almost any kind of setting or décor. Even if you have a specific theme, these lights would work perfectly. 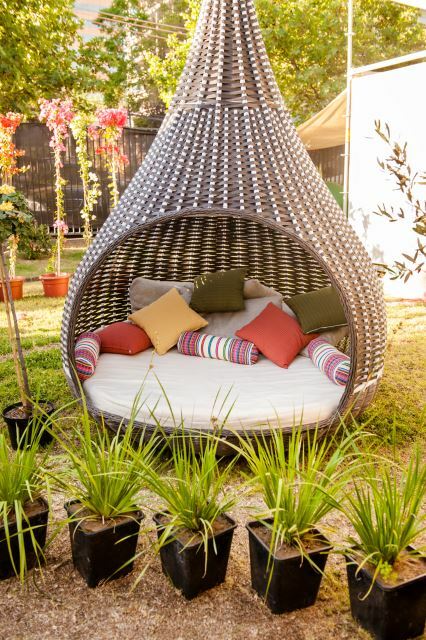 This garden hammock is the perfect space to curl up with a good book and sway the day away. All you really need for setup here is making sure you have two trees or poles to tie the hammock too. 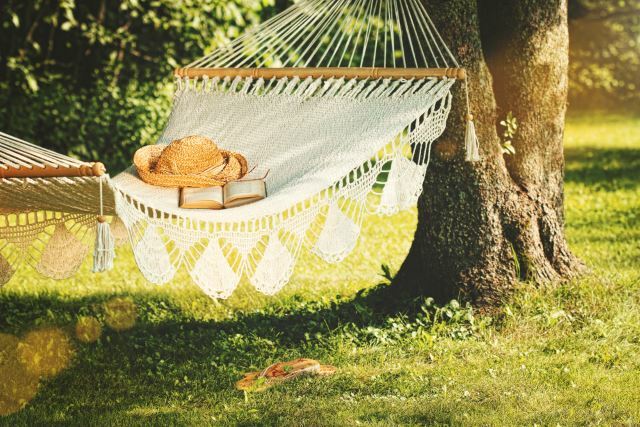 Hammocks are a great way to lounge in the sunshine or shade and enjoy yourself in nature. 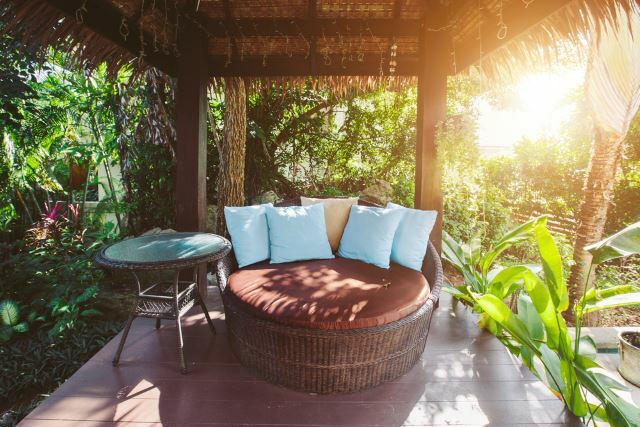 Here’s a tropical escape perfect for daydreaming. When rocking slowly back and forth with this hammock, you’d find no surprise in finding no cares in the world. 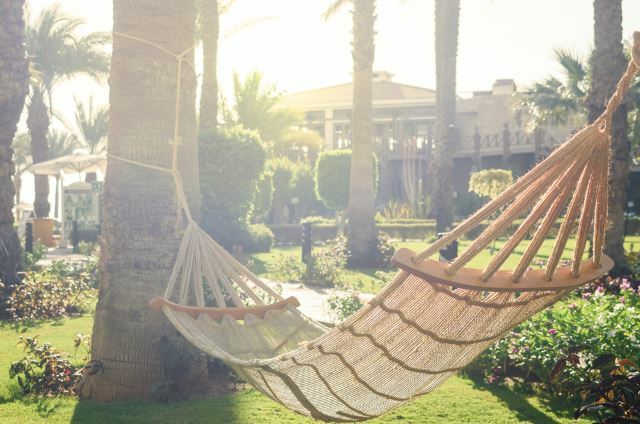 Whether you’re treating yourself to some vacation time or simply using the hammock after a long day, an escape is as far as your backyard. 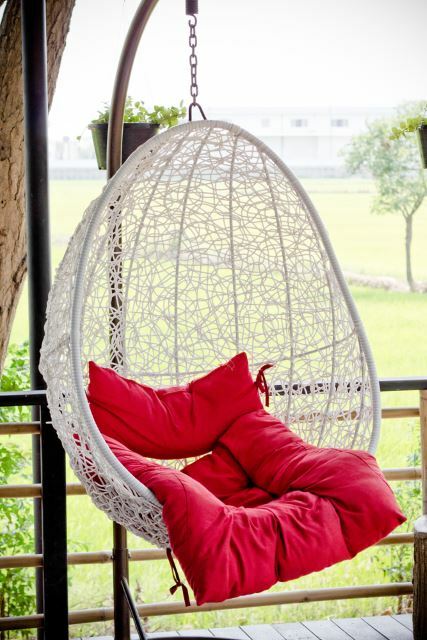 This swing bed would be the ideal spot to relax outdoors with a tall glass of iced tea. 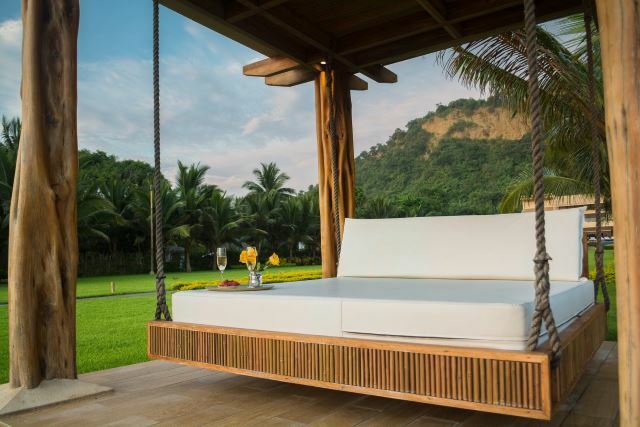 Having a swinging bed or swing in the backyard is a pleasant way to get people to relax and enjoy the scenery for a while. Even better if you have this swing facing a pool or some kind of body of water. 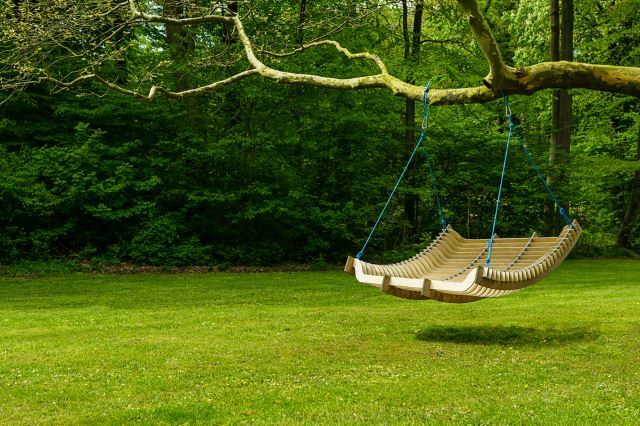 This swing bench is a super cool alternative to a hammock that will comfortably sit two or more people. This would make a super cozy spot in a garden or backyard setting and it’s so enjoyable even kids are sure to have some fun with it. This is perfect for the summertime season. 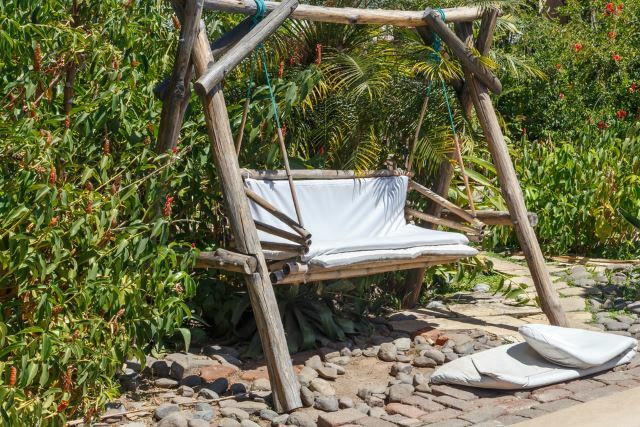 This sitting hammock would make a great addition to your backyard this summer. Most hammocks like these are adjustable and interchangeable, which means you could easily turn this hammock into a lay down hammock or a sitting hammock, just depending on what you feel like doing. This hanging bed is the perfect way to snooze the day away under a cool patio. Unlike regular swinging hammocks, this hanging bed is ideal for at least two people. Get a friend and some magazines and cozy up to enjoy the day or night with this amazing addition to the backyard. This birdcage style hanging swing would be the perfect addition into your porch area or would make a great sitting feature under a giant tree that gives off plenty of shade. This is a unique concept in that you don’t typically see these hanging swings just anywhere, but the design is amazing everyone is sure to want one after seeing this one. This blue playset will be your kids dream come true. 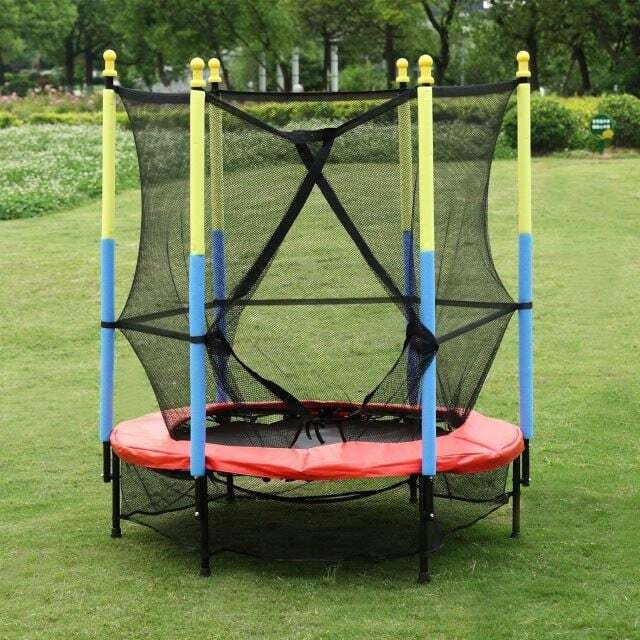 It even has a mini trampoline on one side of it, which is super fun for kids and a lot safer than a standard trampoline. 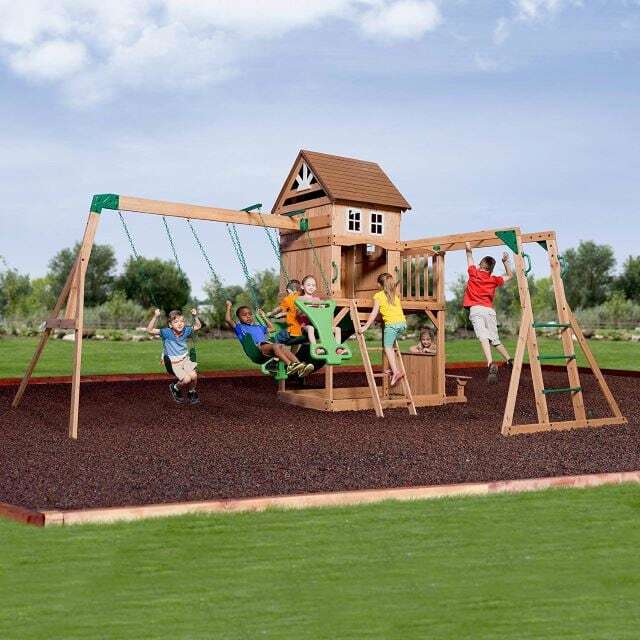 Your kids will want to invite all their friends over to play on this incredible little playset. This playhouse is the ideal setup for toddlers or young children. You could even make this more summer fun by incorporating a sprinkler or some water balloons in this little playhouse. 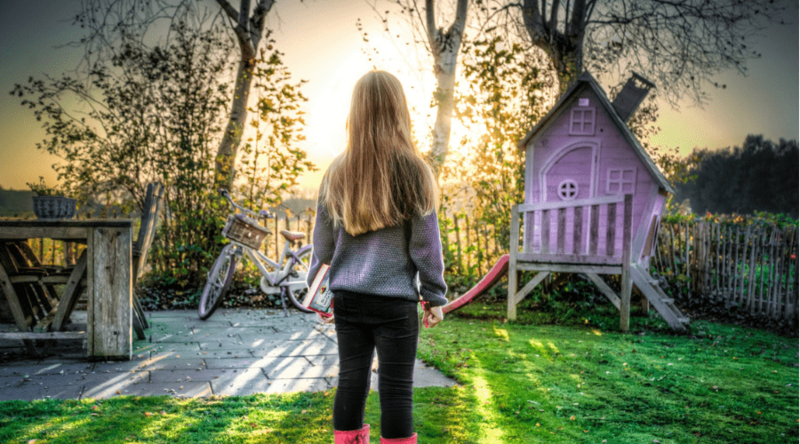 These types of playhouses are light and super easy to move around and cleaning will be a breeze. 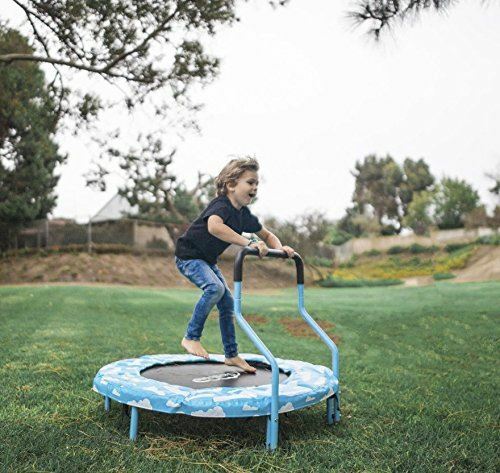 This tiny trampoline is awesome for younger kids who aren’t ready to play on the massive trampolines yet. Many parents prefer their children not even get on large trampolines since there is a high risk of falling off and breaking an arm or a leg. In this case, the protective net will keep everyone safe. This children’s trampoline is a safer way to allow children to have the fun of jumping on a trampoline without the risk of injury. The extra bar on the side act as a way for children to jump safely since they can just hold on to the bar for extra steadiness. This is ideal for toddlers or young children. 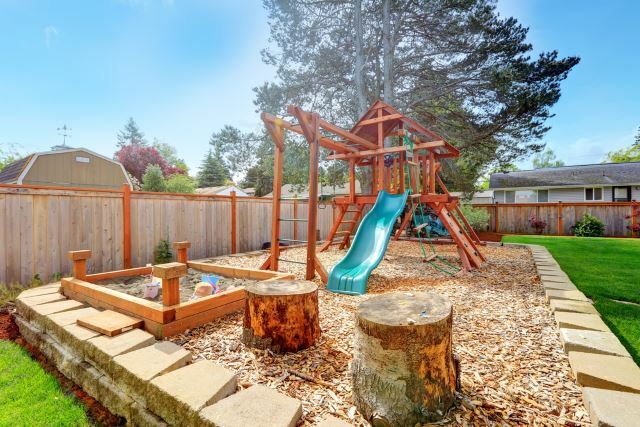 This wooden playset is amazing and would be your kid’s favorite hangout spot this summer. In fact, don’t be surprised if your children want to invite all the neighborhood kids to come out and play on this amazing playset. This playset is also large enough to accommodate large parties so everyone can join in. This giant play swing is basically like jumping around on a giant dreamcatcher. 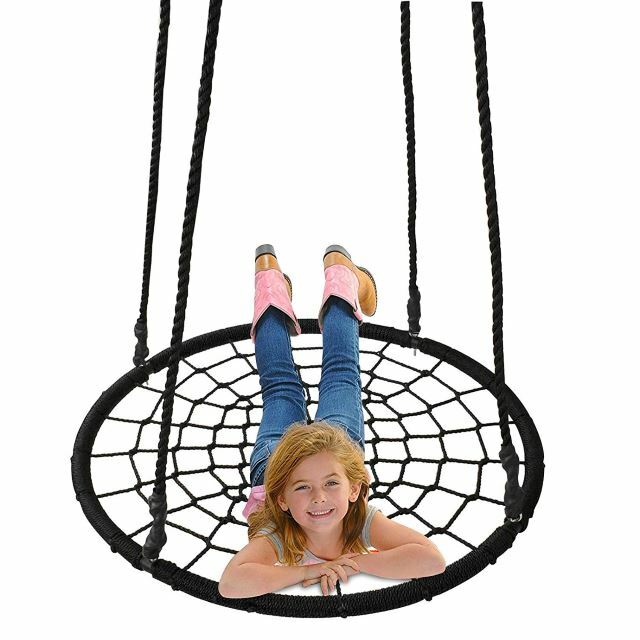 The woven seat to this swing is really interesting and your kids are sure to have some fun on this thing. Since this is a wider swing, it’s best to keep this swing hanging lower to the ground since there won’t be a risk of injury. This adorable jungle gym is just what your kids need to keep them entertained during the hot summer months. 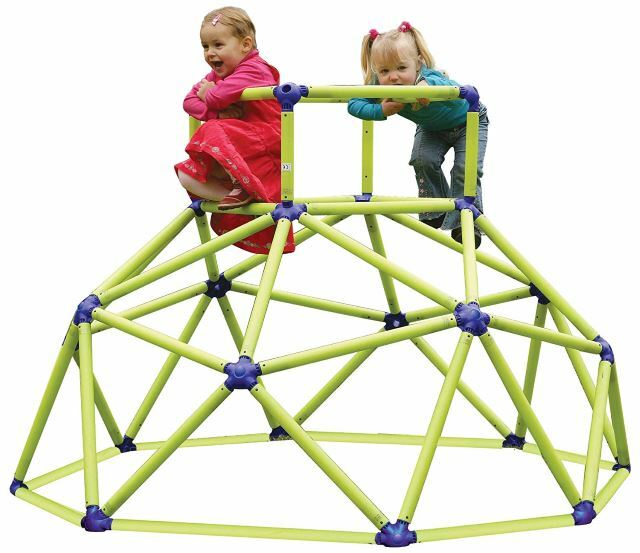 This jungle gym is much lower to the ground and made out of plastic, so there is no risk of your children falling and injuring themselves or even burning themselves on the more traditional metal jungle gym. 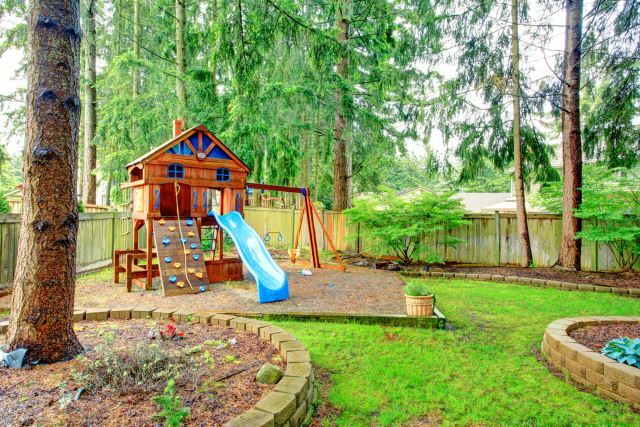 This outdoor playset features all of the best things: Swings, a trampoline and a slide at the end. 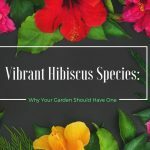 This is a super fun way to keep all the kids entertained during those long summer months at home and an even better way to inspire them to get outside and enjoy some of that gorgeous sunshine. 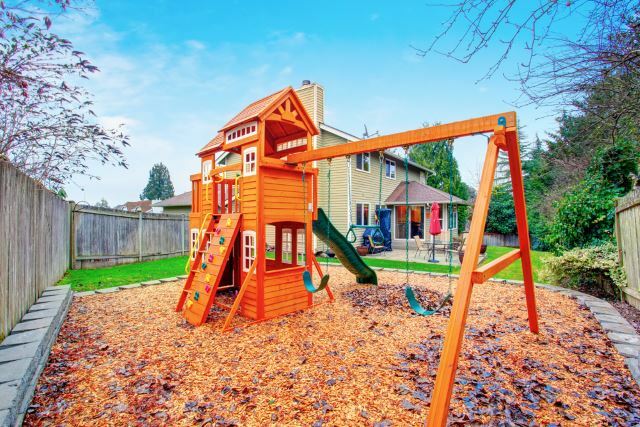 This impressive play set looks like something you’d more than likely find in a playground, but this means you get to bring the playground to your own home! 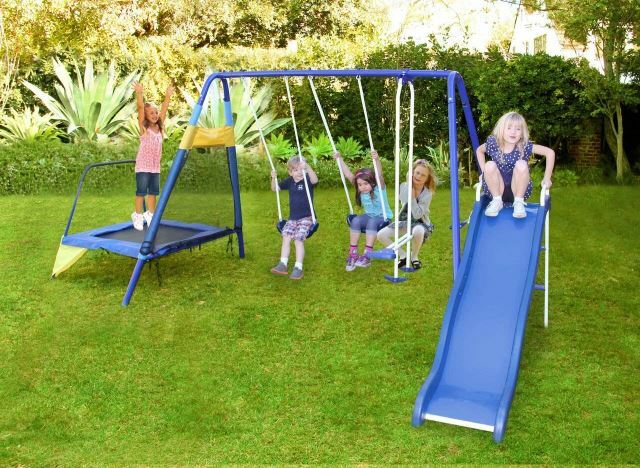 This is a great playset for older kids who can play outside for longer during the summer. This is also for older kids because younger ones could injure themselves. 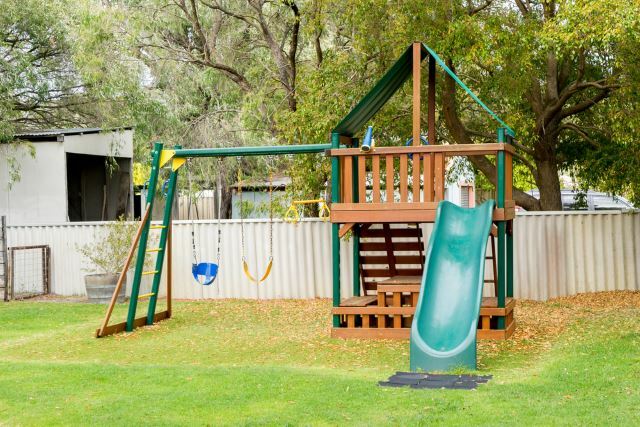 This backyard playground is ideal because it has so much equipment to it. 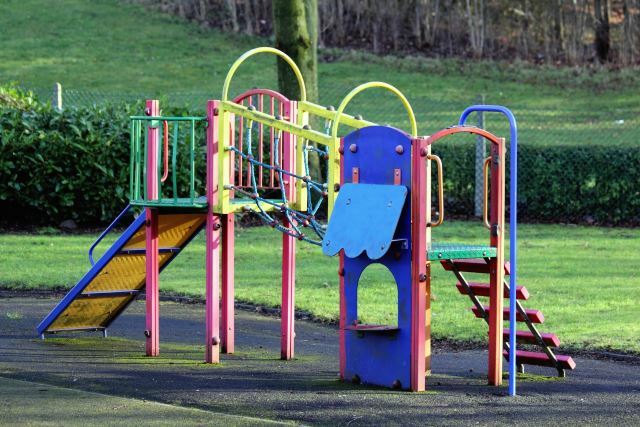 You have some handlebars, a slide and some swings, which are the best features of a playground. Having a playground outside in your backyard is a sure way to keep all your kids entertained and they’ll definitely have fun. 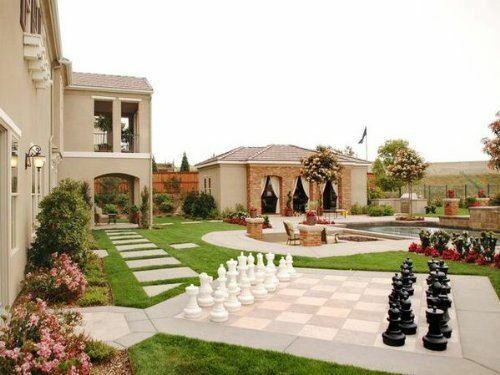 This backyard playground is amazing! It features so much fun stuff for kids to do. I can’t decide if the play set is more impressive, or the fact that there is a sandbox in here as well. Either way, kids will love to spend all afternoon out here playing with all this cool stuff! 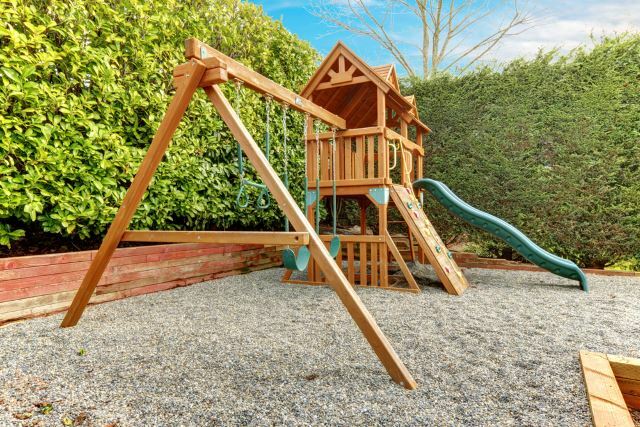 This corner playground is so impressive it needs a whole corner of the backyard to make space for all the cool features. This is a great play set for older kids, anywhere from elementary school kids to high school kids will love this awesome play set. Get it and watch the enjoyment! This complete playset features so many cool additions. Anywhere from the slide to the swings, to the cabin area to everything else! This is the perfect escape for kids during the summer, especially since there’s a little hideout part at the top of this playset. This amazing playset with a matching hideout and bench is the perfect hideaway for all your kids. 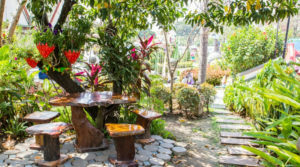 The cool little bench at the bottom is a super cute place where your kids can either have lunch and enjoy the outdoors or even just color on some coloring books and have a snack. 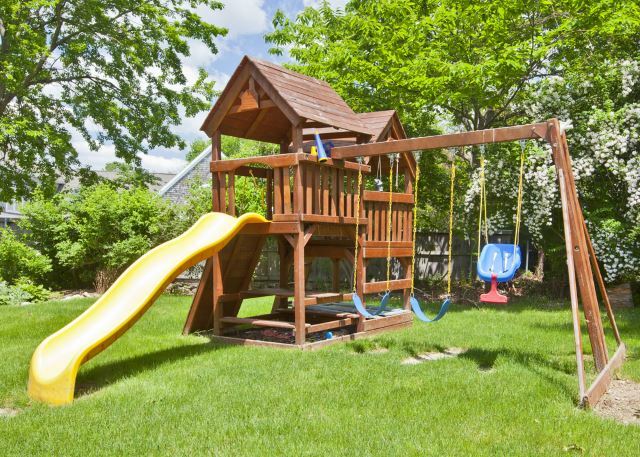 This two-tiered wooden playset is so amazing, mom and dad will probably want to hide up there sometimes, too. This is an amazing escape for children because it involves so much fun stuff to do, like the swings and the slide, and then it has a two-tiered cabin area where kids can play. 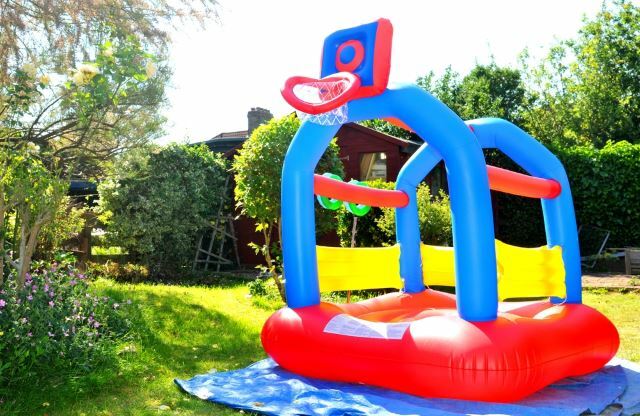 This inflatable basketball court will be the hit of the summer! Your kids will want to invite all their friends over all of the time in order to play a few games of hoops. 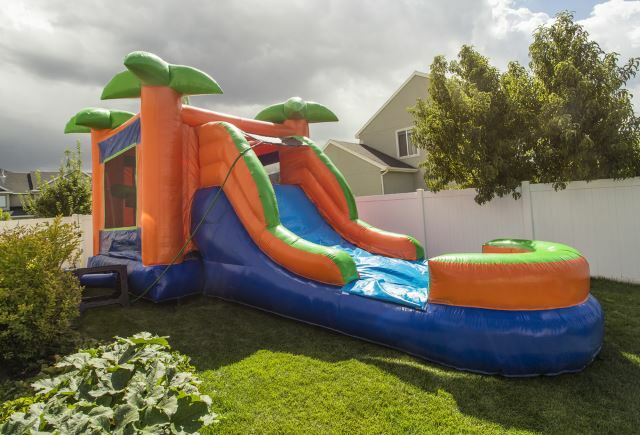 This is also a super fun way to enjoy the game because the course is entirely inflatable! Kids will love it! Much like that inflatable basketball field we just saw, this inflatable soccer field is a super cute way for your kids and all of their friends to enjoy a friendly game of soccer. This is especially great for younger kids who may show some interest in soccer but aren’t old enough to play on an actual field. This game is taking football up a notch! This inflatable knocker football includes these amazing inflatable knockers that makes things so much more interesting. These inflatables actually act as bumper cars, but really safe since they are just inflatable and will shield anyone who wears them from the ground. 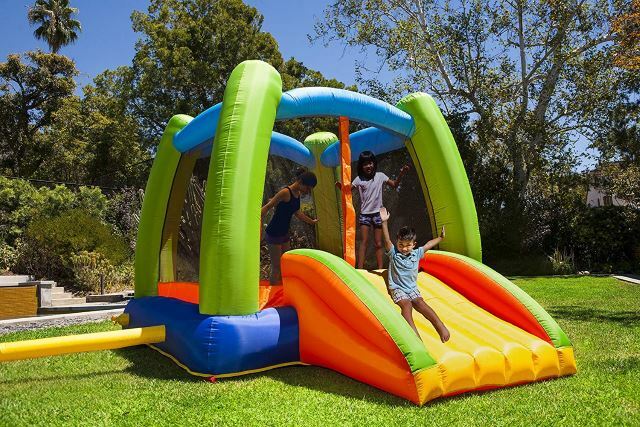 This inflatable playset is the perfect setup for kids this summer! You have that super great inflatable slide that up to three children can slide down at one time and that super cute mini bounce house to the right of this whole set. This would be amazing for a kids party and everyone will hope their invited! What’s even more amazing than a bounce house? A bounce house with a slide! This is a neat setup that all the neighborhood kids are going to want to get in on. 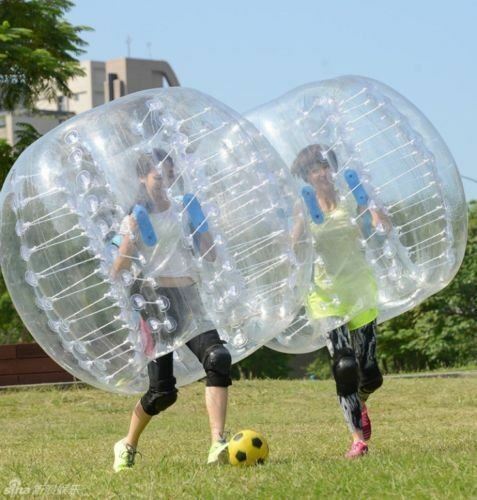 What’s even better is that since it’s inflatable, it’s virtually impossible for anyone to get hurt on. It’s like bouncing on a cloud! This inflatable water slide will bring all the kids out and away from those video games for at least a day! This is an amazing way to get the kids entertained and enjoying some splash time from the hot days of summer. This would make the ideal setup for a kid’s birthday party or even a special celebration. 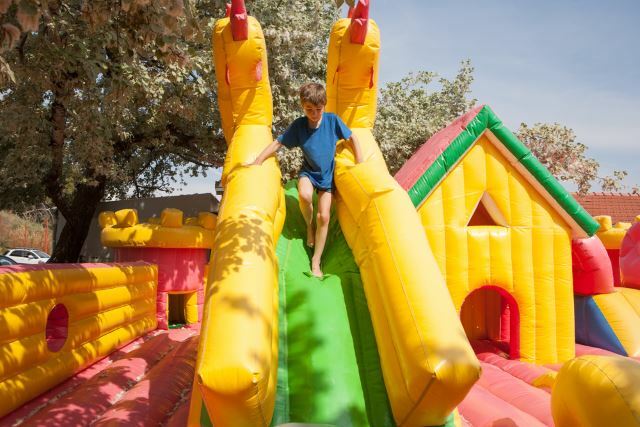 This bouncing castle would be your kids dream house. 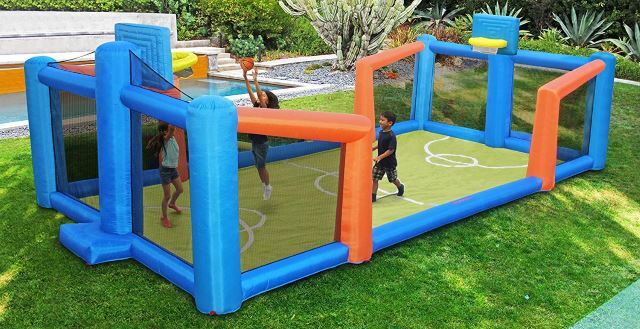 This is super fun because it’s a great way to get kids outside and it even gives them some exercises because, you guessed it, bounce houses require bouncing. The fact that this is a castle is super adorable and your kids can make believe. This bouncing playset is massive and looks totally fun! You could fit an entire birthday party into this bounce house and it’s so awesome that I bet even the adults will want to get in on all the fun. This also looks a bit more intricate than the standard bounce house in that there’s paths. 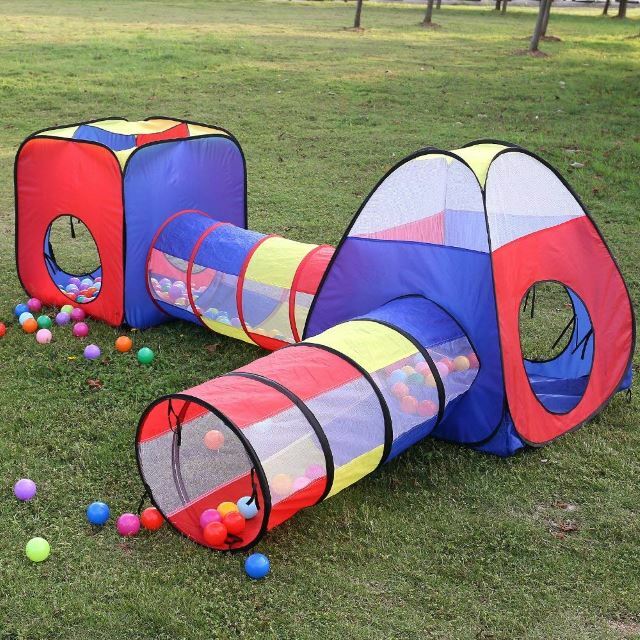 This is a super interesting inflatable play space. This play space comes complete with a bounce house, some colorful cartoon figures, a trampoline and so much other stuff that is guaranteed to make your child squeal with delight. 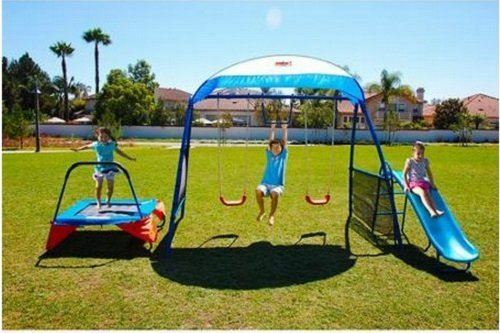 The kids will spend hours in this thing and get plenty of exercise! This inflatable SpongeBob bounce house will be a major hit in the neighborhood. 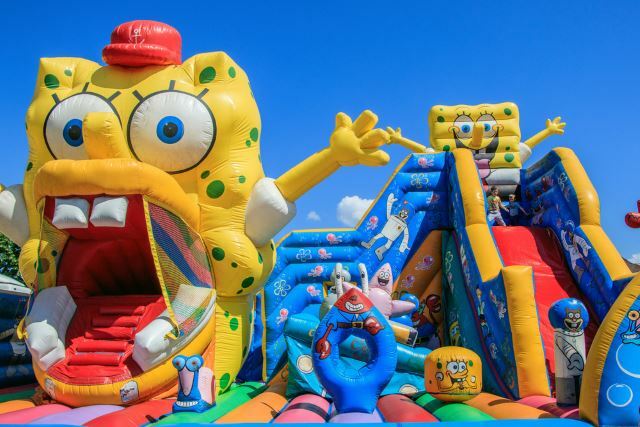 This bounce house is full of fun and even better, it has that lovable sponge that lives in a pineapple under the sea in command. 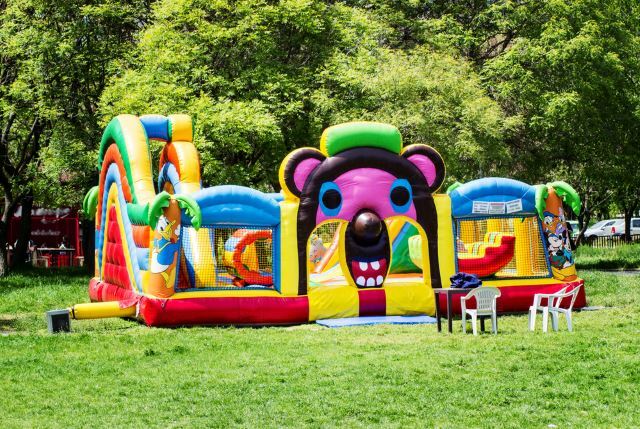 Set this up so the kids can run around and have lots of fun … just make sure to have plenty of krabby patties ready for later. 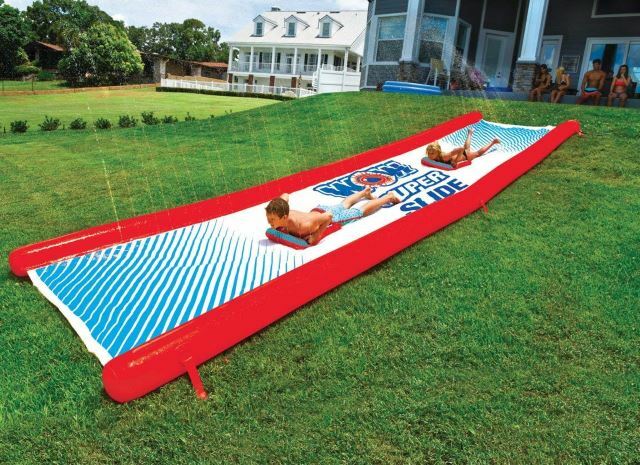 This is like a slip and slide, but with an added sprinkler feature throughout the whole slide. This is an awesome way for kids to enjoy the summer and stay cool doing it. It’s so much fun, even the adults may try to take a slide here and there. Set this up and watch the kids go nuts! This is a major slip and slide! This is a wider version of that childhood classic that adds extra water and extra splash into the mix. This is fun because it allows kids to slip around more and have a lot of fun doing it. Make sure you have plenty of space to set this slide up due to its larger size. This is a super cool slide that has a wading pool at the end of it. Imagine flying down this slide and landing in a refreshing pool of water at the end? 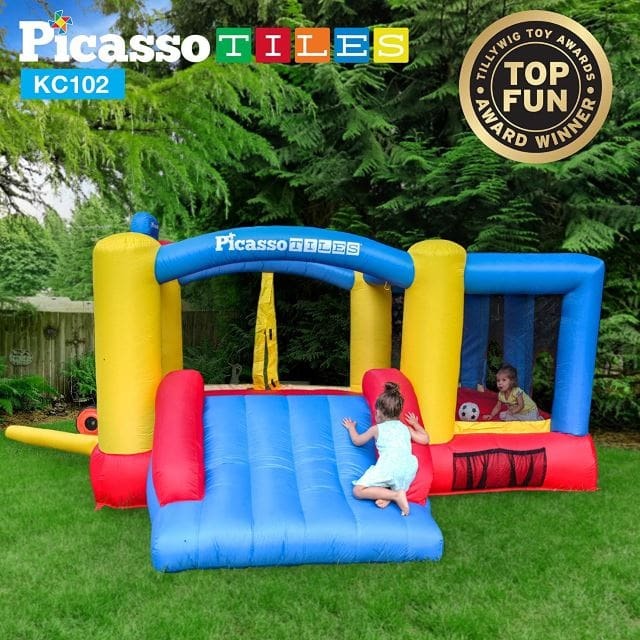 This is the perfect setup for summer and the kids are sure to have so much fun in the sun with this brilliant and refreshing setup. 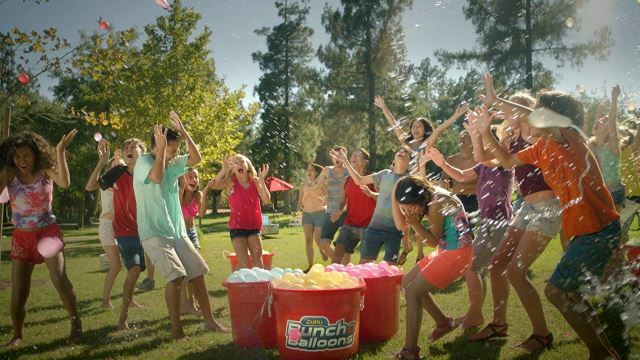 This instant water balloon setup creates a bunch of balloons almost instantly! 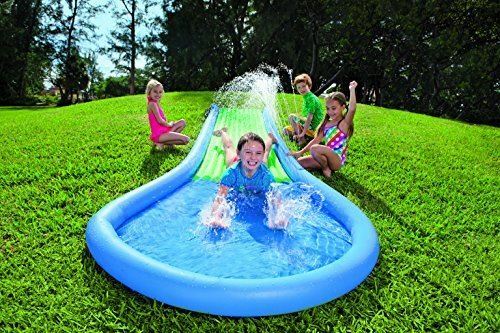 This is super fun for that outdoor splash day or even a birthday party for the kids. This way, the kids can pop all the balloons they want and have plenty left over since these balloons will fill up so fast in these buckets. This summer nook is the perfect summer getaway for those lazy day hangouts. This would also make a really great setting for a summer cocktail party. 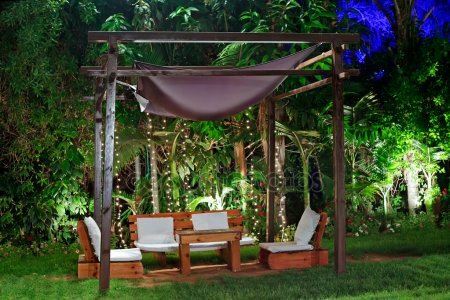 You could easily serve some pitchers of sangria or sparkling mimosas under the shade of this amazing canopy with the company of friends. This summer nook is a great place to relax and enjoy a drink or two with friends. The bonus in this nook is that it can double as a winter nook due to that super fantastic fireplace in the back. This cozy scene requires a nice covered area, some super comfy chairs and some really great company. This hanging chair nook is the perfect place to cozy up with a novel and some fresh lemonade. This chair is very interesting because it almost resembles that hammock chair we saw earlier, but its wide mouthed shape makes this chair cozier. This is a perfect summer nook for a summer reader. This summer nook comes complete with a pool. This setup is sure to draw all your friends out of the woodwork to enjoy a night of summer swimming and some cocktails by the pool. This is the perfect setup for a couple’s night out or even an adult hangout with some light jazz playing in the background. 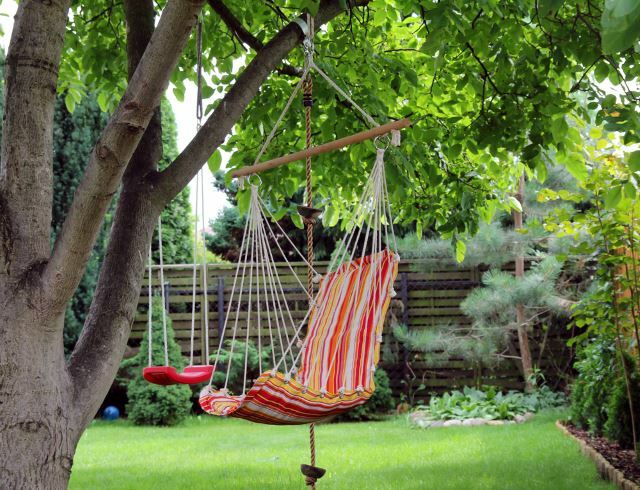 These lovely hanging chairs create the perfect atmosphere for lounging around the backyard with some friends. These chairs are super neat because they have a really interesting shape and the intricate black woven designs make these really great to look at. These could almost double as works of yard art. 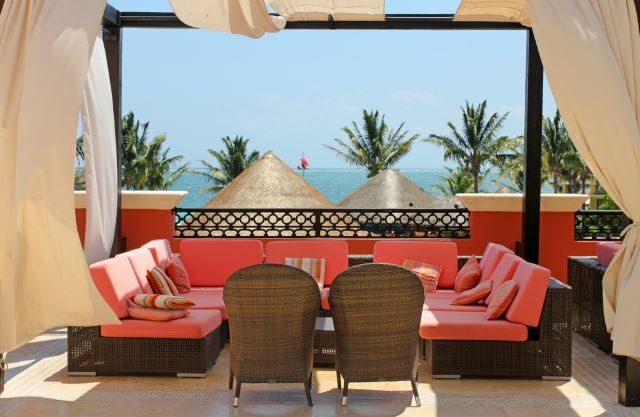 This swanky summer nook has a couple of really great rattan sofas. These sofas are ideal for hanging out with friends and enjoying some tapas and wine. This is a bohemian chic way to enjoy the hot days of summer and the cooler nights. You could even have a few dance parties in this setup. This summer getaway looks as if you’ve stumbled upon a secret canopy in a jungle setting. This is an amazing and relaxing tropical escape that can really help you catch that summer vibe. Add a mister and imagine you’re in the jungle, sipping a glass of something sweet with nothing to do but chill. So, what do you think? 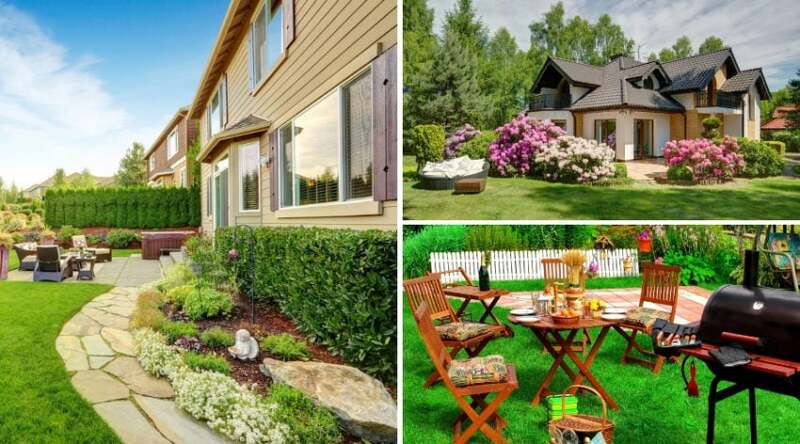 Which of these backyard summer ideas were your favorite? Can you even choose between all of these amazing options? I know I can’t. If you can’t decide on which project or summer activity to try, why not try a few of them? 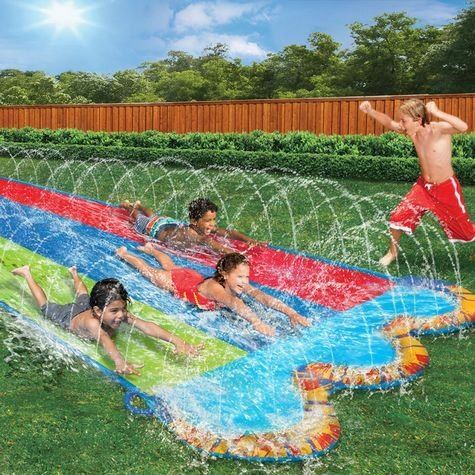 Summer is long, after all, and the kids will love all these great water toys and bounce houses! Have you tried any of these amazing summer activities? We’d love to hear from you! Feel free to share with us some of your favorite activities or comment on any of these amazing summer games you’ve tried in the section below.